South Africa is a rainbow nation with people from all walks of life. This diverse country is paradise in one way or another to all that live in it. More recently I find that many law firms in South Africa are looking for foreign qualified lawyers, or I speak to lawyers who are themselves interested in making a move to South Africa. People seek opportunities in South Africa for several reasons (not just the good weather!). 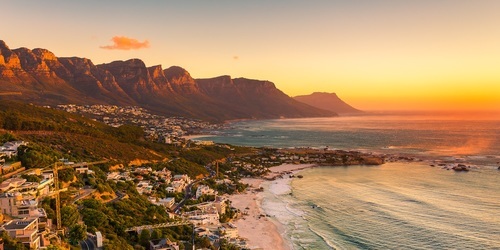 If you are looking for a move to a stunning, multicultural city then Cape Town is for you; it offers a blend of heritage sites, modern infrastructure, suburban areas for families and wonderful outdoor activities. Johannesburg on the other hand is the country’s hub, where all the hustle and bustle takes place. Johannesburg is highly sought-after for ex-pats due to its employment opportunities, especially in the legal market. However, as with any international move, there are a few things you will need to consider ahead of time- most pressingly, how to get into the country! Each country has its own rules and regulations when it comes to visas for overseas residents and South Africa is no different. Unlike other international locations however, there is no policy in place that allows law firm or companies to simply sponsor international lawyers, and often you may have to take a less-conventional route. Here’s some information on the two main paths we see lawyers take to break into SA. You may have noticed that in recent times, it has become more and more common for international Partners (particularly those from the UK) to join South Africa-based offices. But how, you may ask, when firms are unable to offer sponsorship? The answer - by the partner joining a firm with both a UK and South African office, in the UK, and then being seconded to South Africa on a long-term contract. While this option does give you the opportunity to live and work in South Africa, it is not a long-term solution. For the moment this only seems to be happening at Partner level, although as time goes by, this may extend to more junior levels. For people who intend to work in South Africa there are four different permits they can apply for, this is usually done independently, as opposed to the firm or company applying on your behalf. The two main work permits used in South Africa are a general work permit and a work permit aimed at individuals with exceptional skills. The general work permit is valid for the length of your contract, while an exceptional skill permit lasts three years. The thing to bear in mind with work permits is that they can be costly and can take some time to be approved. However, these offer a great solution to anybody who is seriously committed to relocating to South Africa. South Africa is not the easiest country to get into but for those who are adamant to get into the country there is always a way, although it’s not one a potential employer can sort out for you. The easiest and most practical way to enter the country would be if you are a dual national or have a spouse who was born in South Africa. If you decided the burden of sorting out permits in South Africa is too much to bear, Australia is always a fantastic option as it is similar to South Africa in many ways. Here at Nexus, one of our Recruitment Specialists focuses her time on the Australian market moving lawyers locally and internationally. The great thing about relocating to Australia is that even though there are visa restrictions similar to South Africa, this is overcome with the help of your new employer applying for a visa on your behalf. To see all our latest South Africa vacancies click here.